Depending on the child's interests and hobbies, the frog water slide is designed for kids who like to drill, climb and slide. It is colorful, entertaining, functional and reliable. It brings a sense of safety, happiness and vitality to the children. 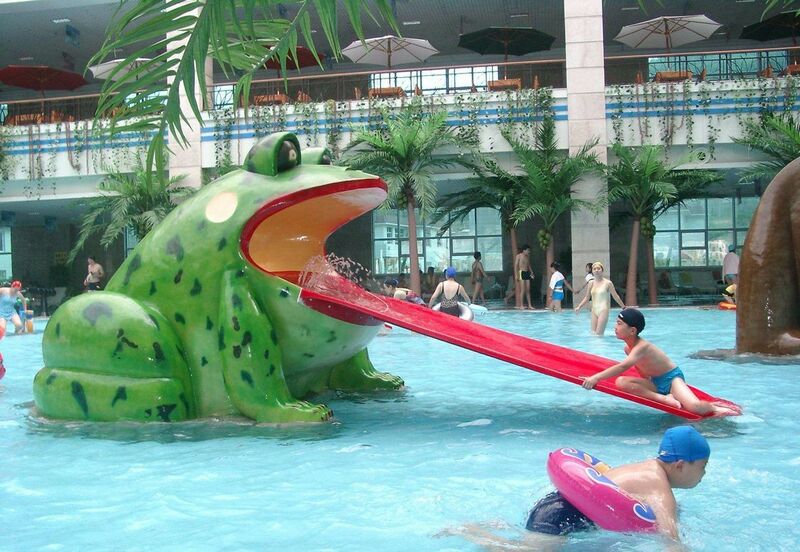 It suitable to water park, hotel, holiday resort , amusement park, swimming pool, etc. 1. Environmentally friendly products for children to play safely. 2. At a competitive price, more children can enjoy it. 3. Security orientation, pass the GS certificate. 4. Stylish and lively design that makes kids more fun and will play again and again. 7. Design requirements, based on age, budget, location, etc. 9. FRP material, anti-UV, anti-fading, high strength, durable, suitable for outdoor use.